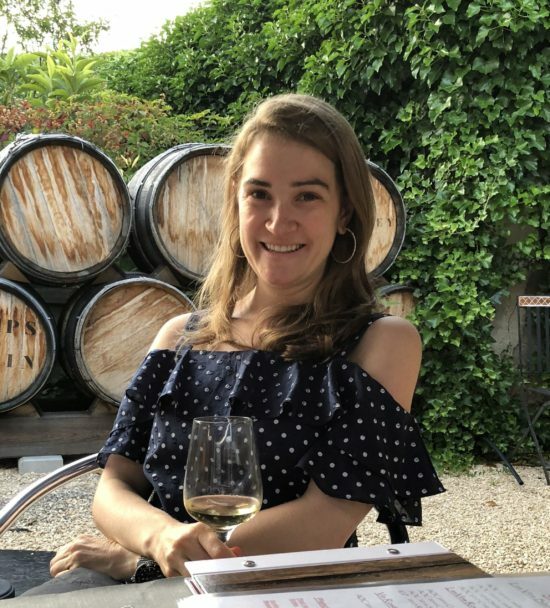 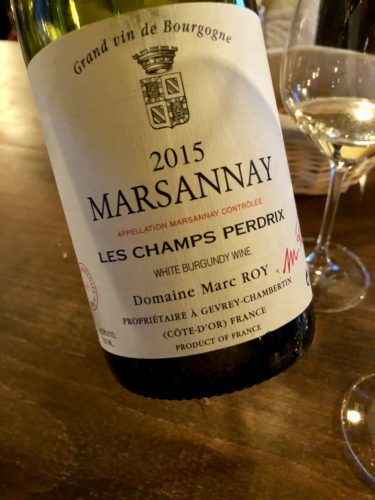 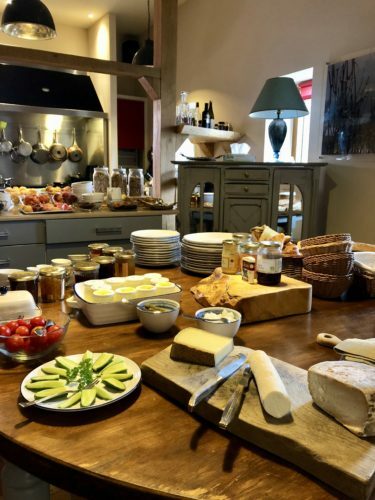 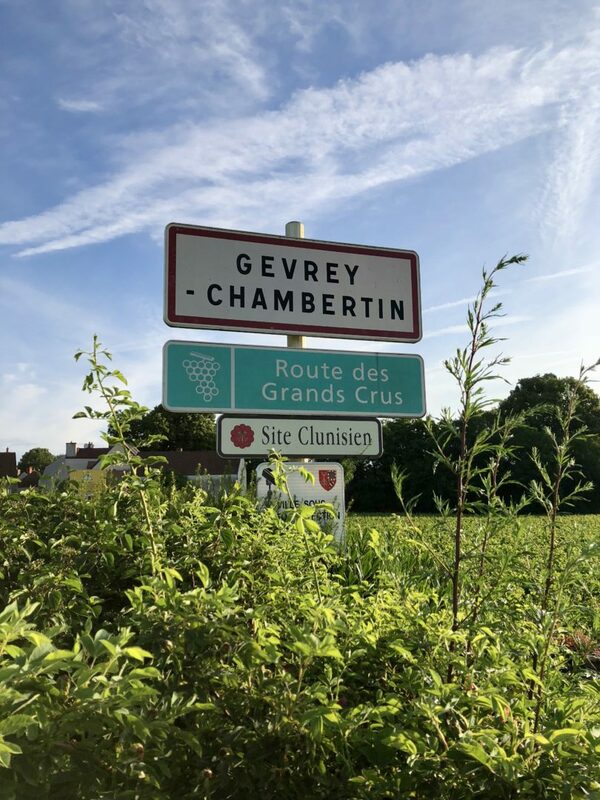 Gevrey-Chambertain - Chardonnay Moi - Food, Wine, Travel and Fun! 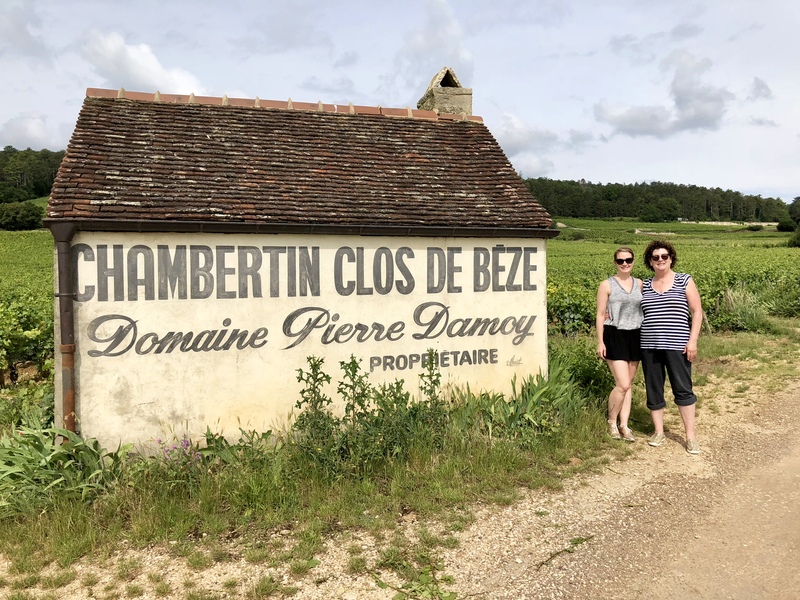 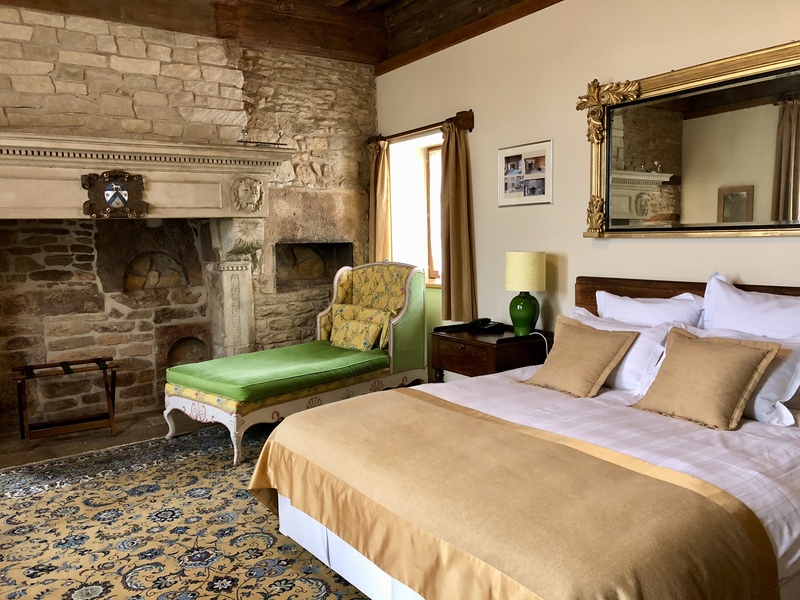 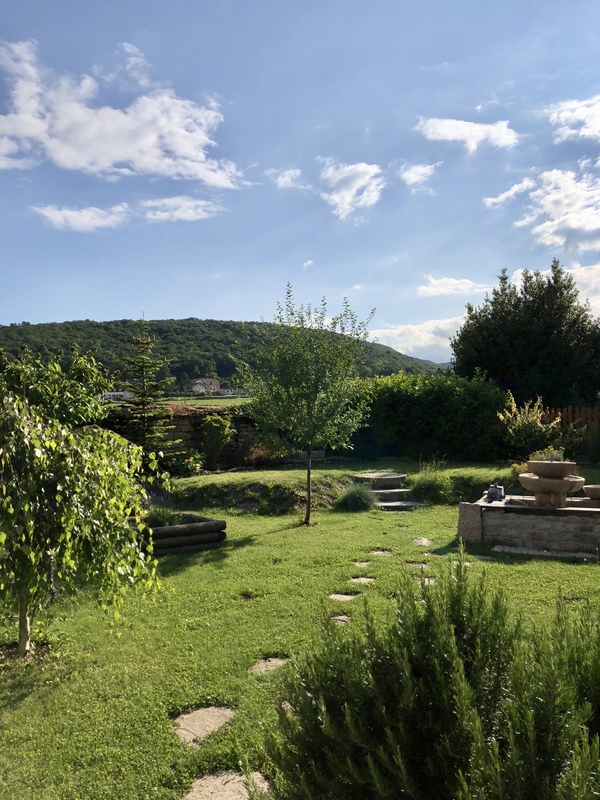 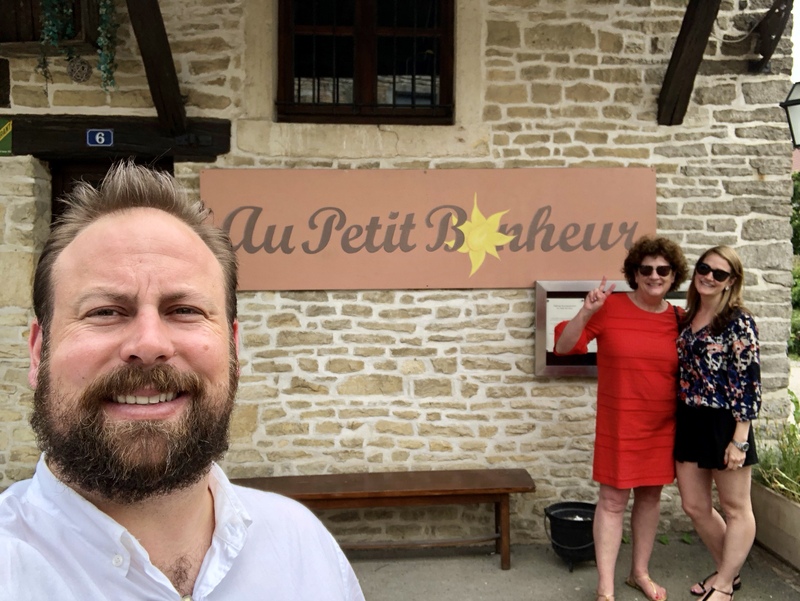 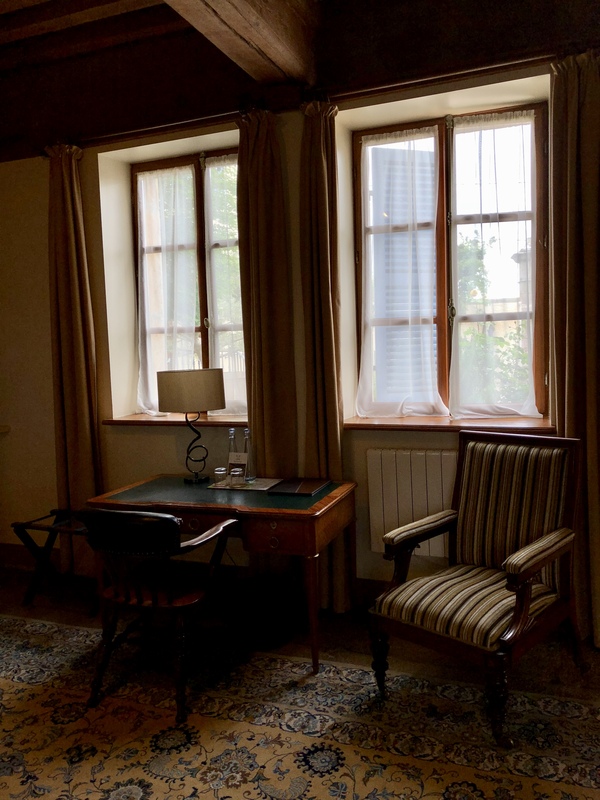 We ended our Burgundy adventure with a night in Gevrey-Chambertain. 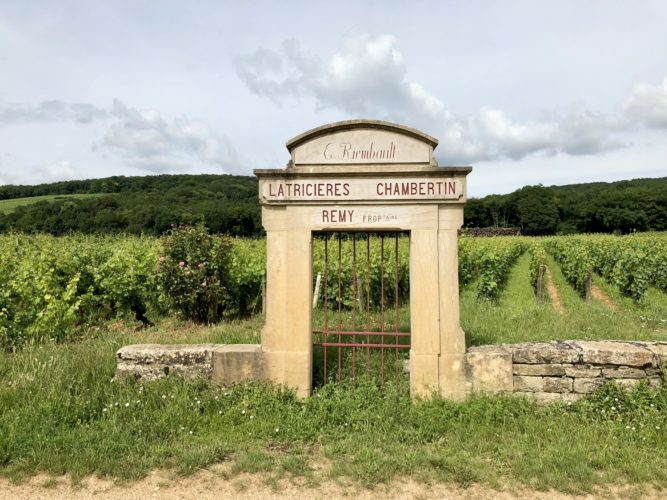 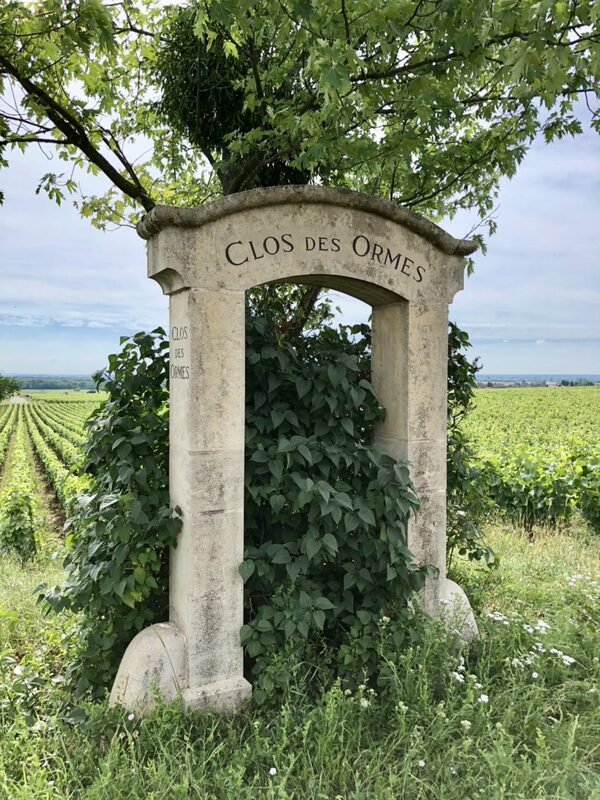 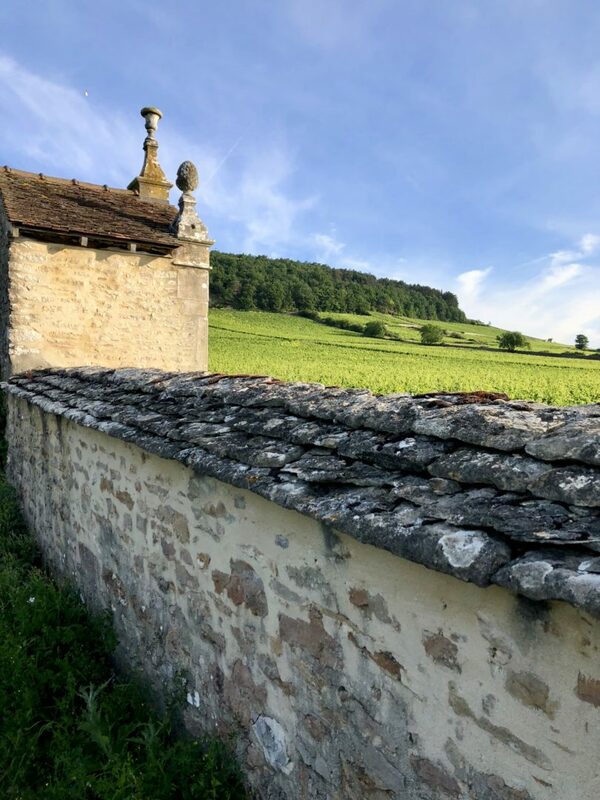 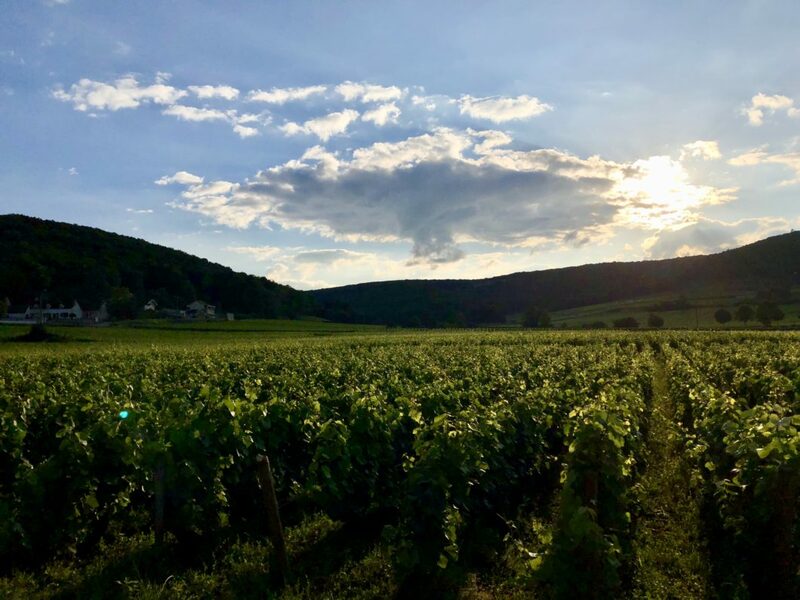 While I had gone as far north as Nuits-Saint-Georges when I visited Domaine Faiveley on my first trip to Burgundy, I had never been to the capital of Pinot Noir-dom: Gevrey-Chambertain. 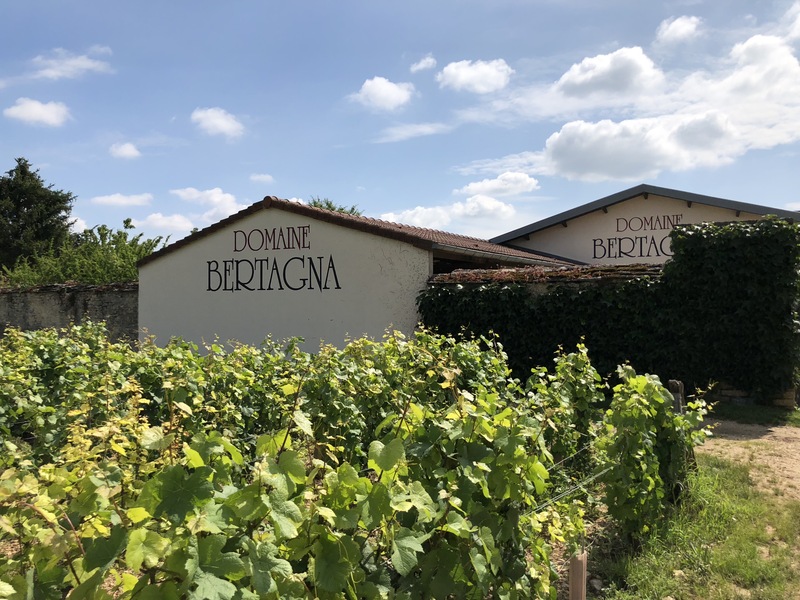 We left Beaune and headed straight to Domaine Bertagna in nearby Vougeot for a tasting. 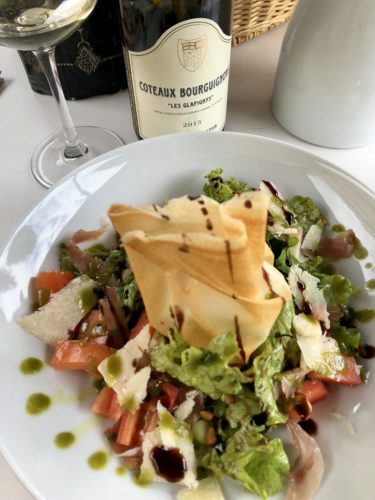 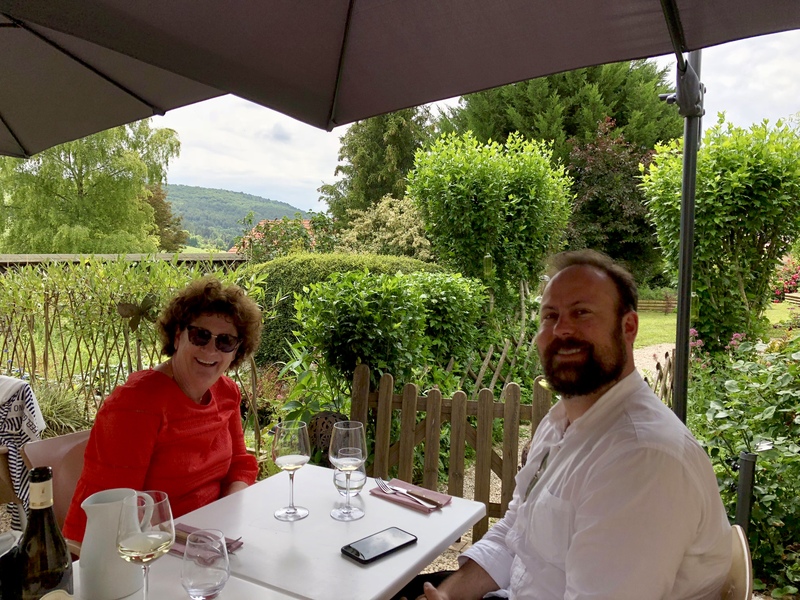 Followed by perhaps the best lunch of our trip at Au Petit Bonheur in the hills above the Cote d’Or. 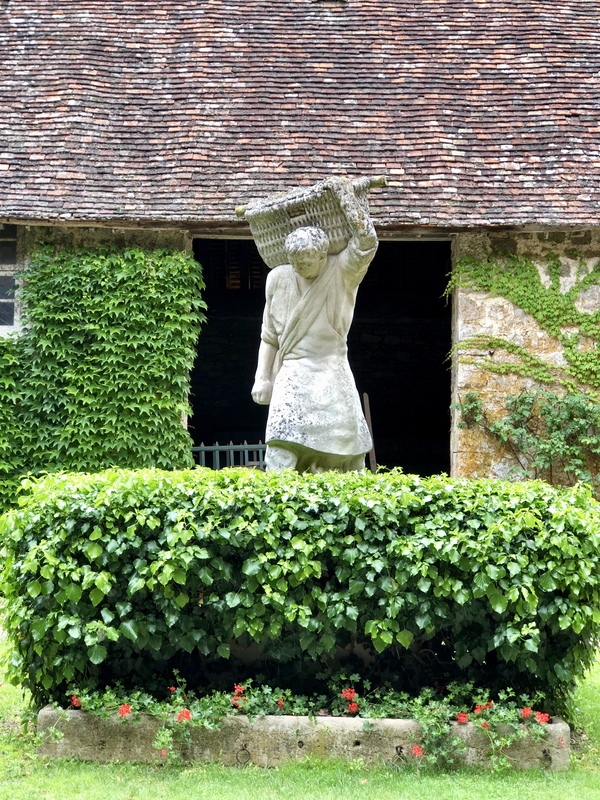 Charming Olivier grows what he can in his backyard garden and sources everything else from regional producers. 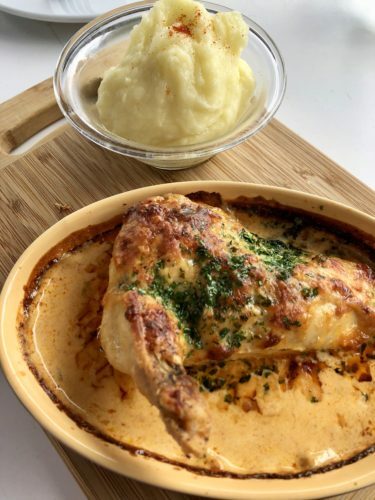 Do NOT skip the baked chicken in mustard sauce! 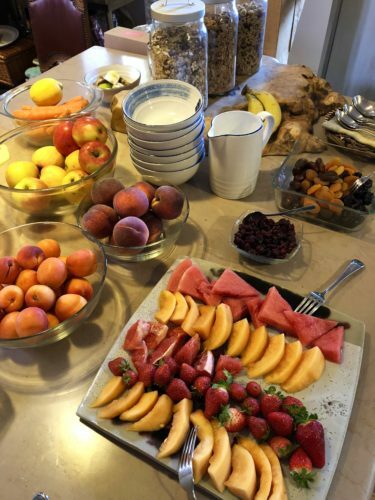 Everything was delicious. 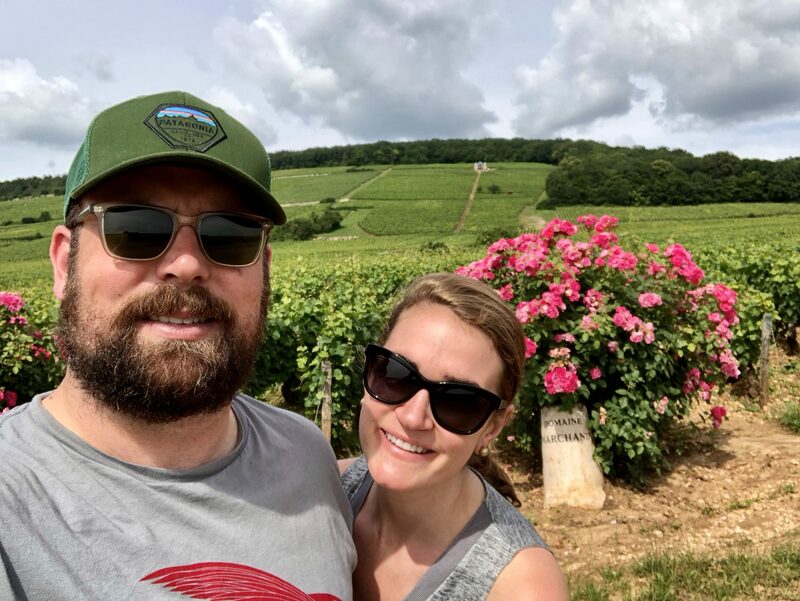 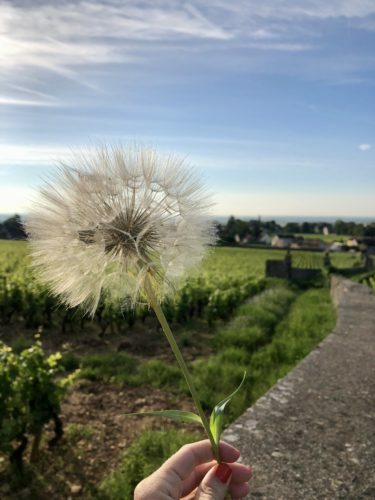 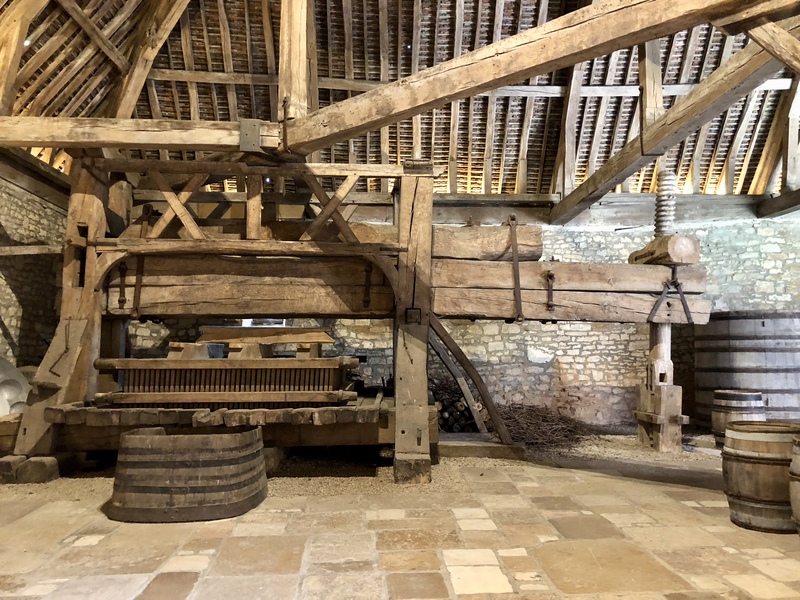 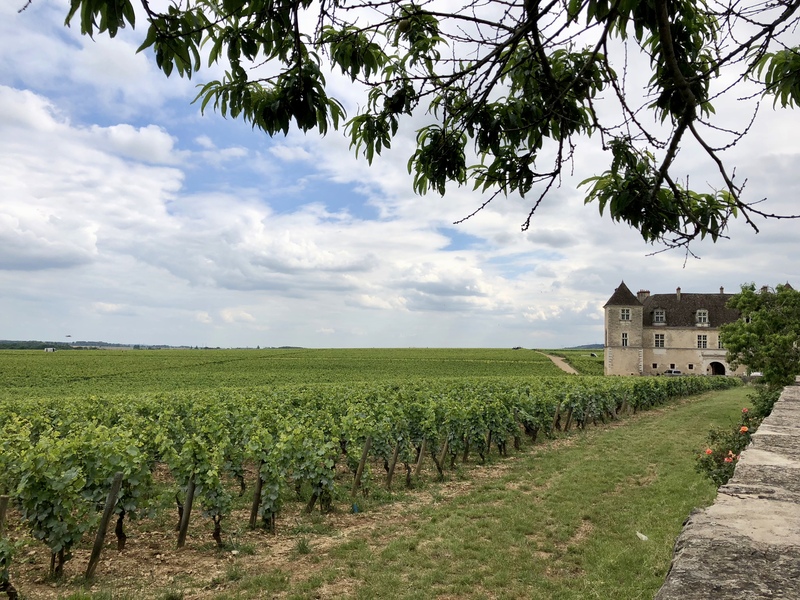 We visited the famous Chateau du Clos de Vougeot, where some of the first wine of Burgundy is thought to have been made by Cistercian monks in the 12th century. 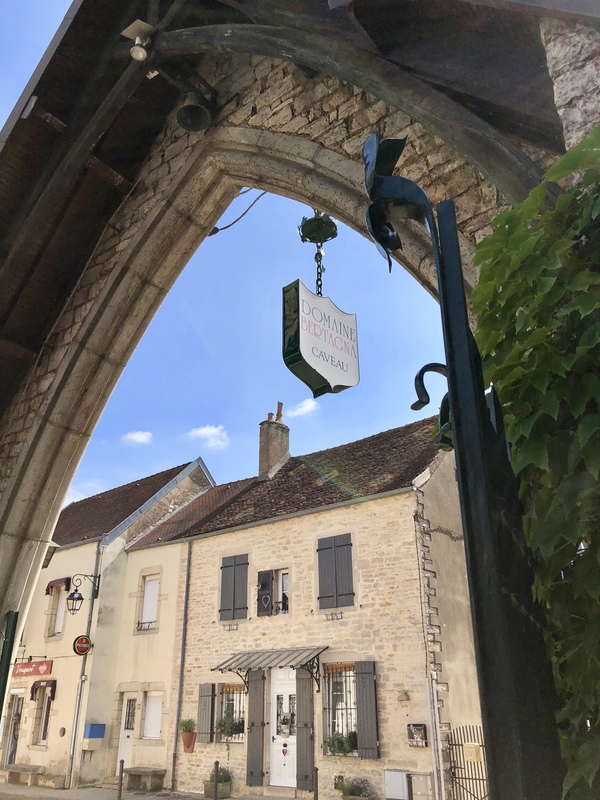 We ended our day by checking in to Les Deux Chevres, a gorgeous boutique hotel in Gevrey-Chambertain. 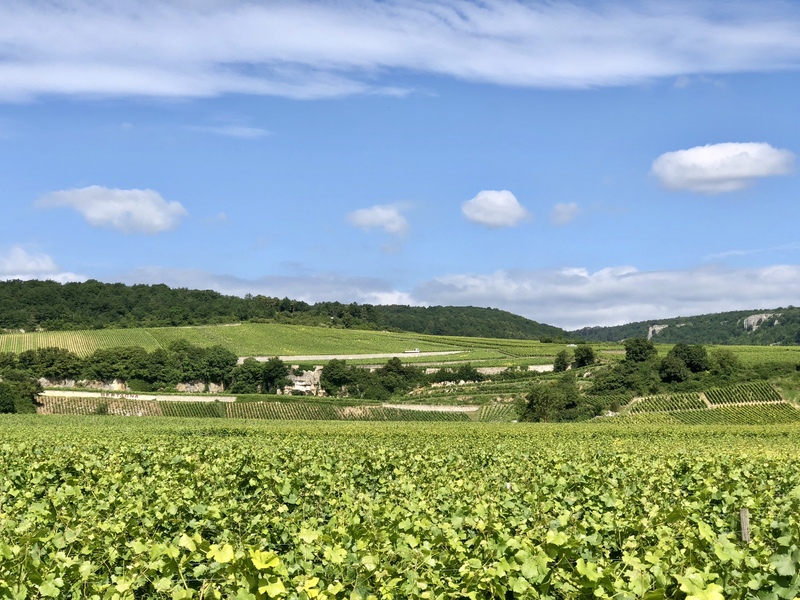 I wish we had known prior to booking that owner Paul conducts a daily tour of the Grand Cru vineyards surrounding the village at 5pm. 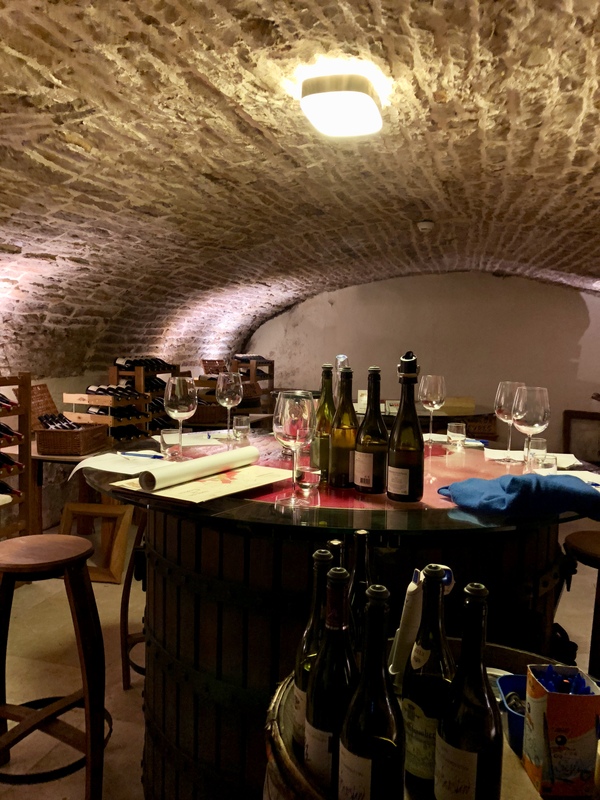 We just missed it, but did get to join the daily wine tasting in the hotel’s underground wine cellar. 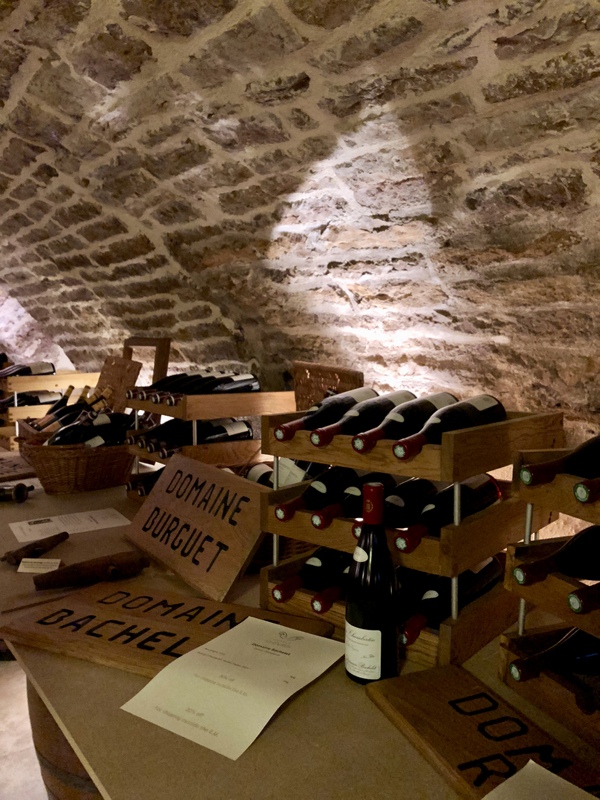 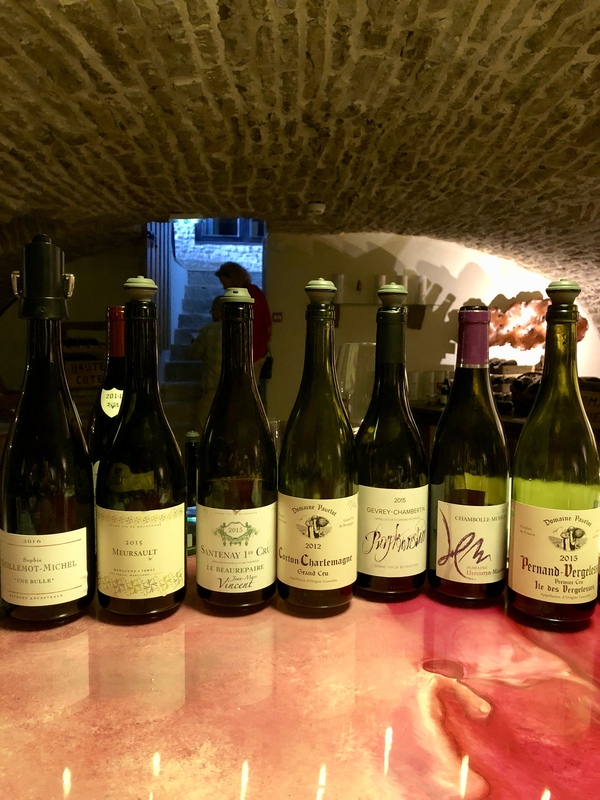 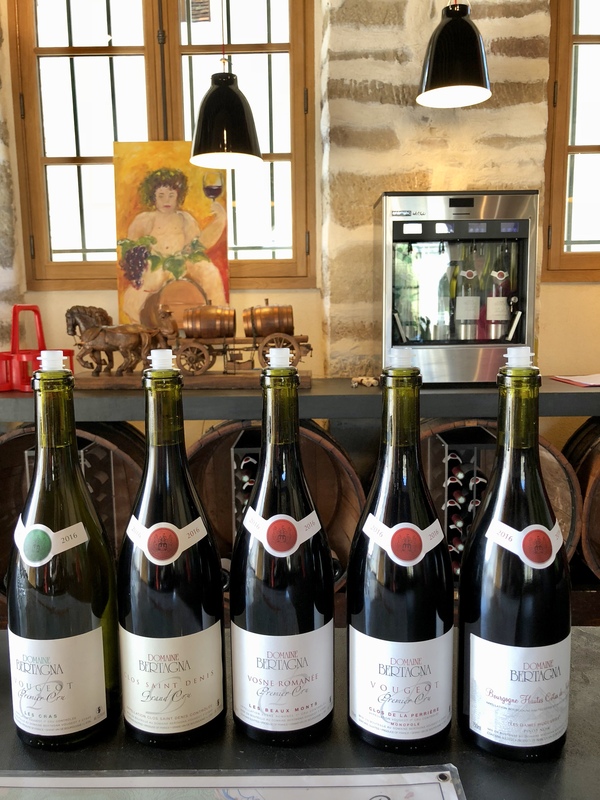 We tasted through 6 wines while learning more about Burgundy, it’s complicated labeling/rating system, and tasting the terroir first hand, a great introduction for 35 euro pp. 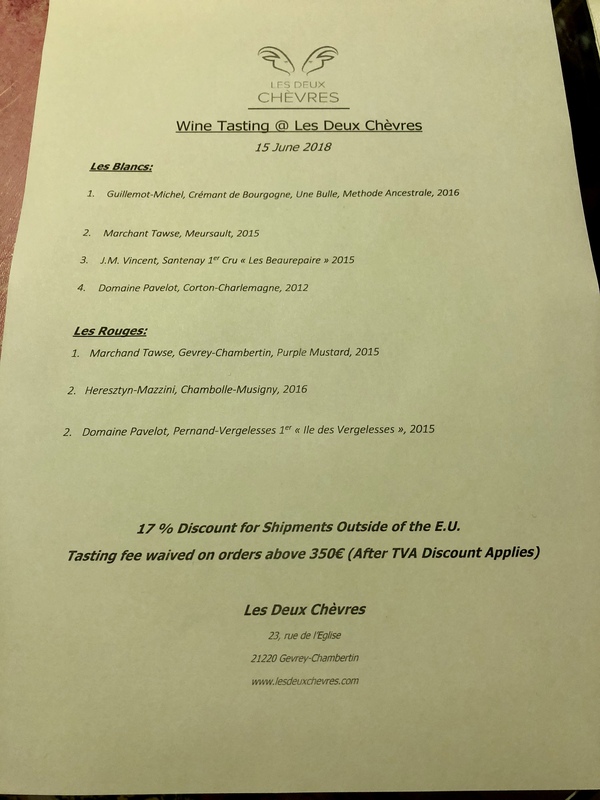 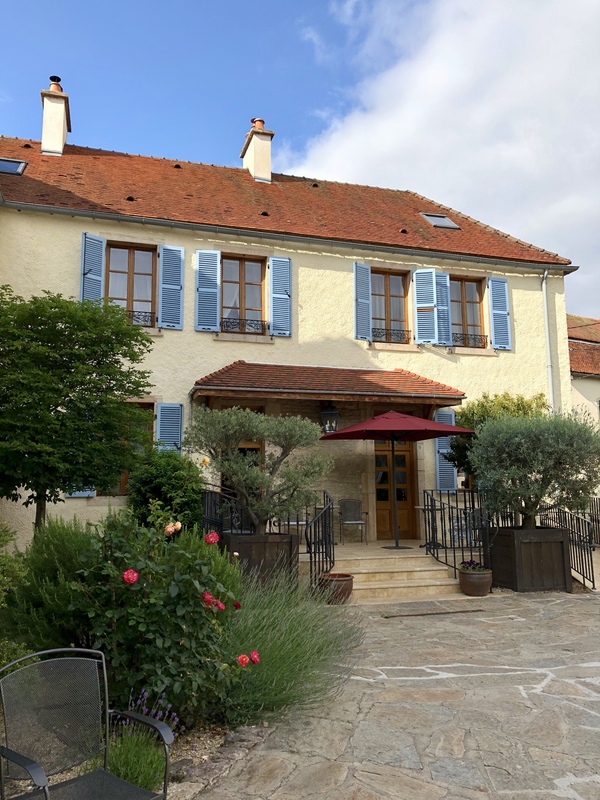 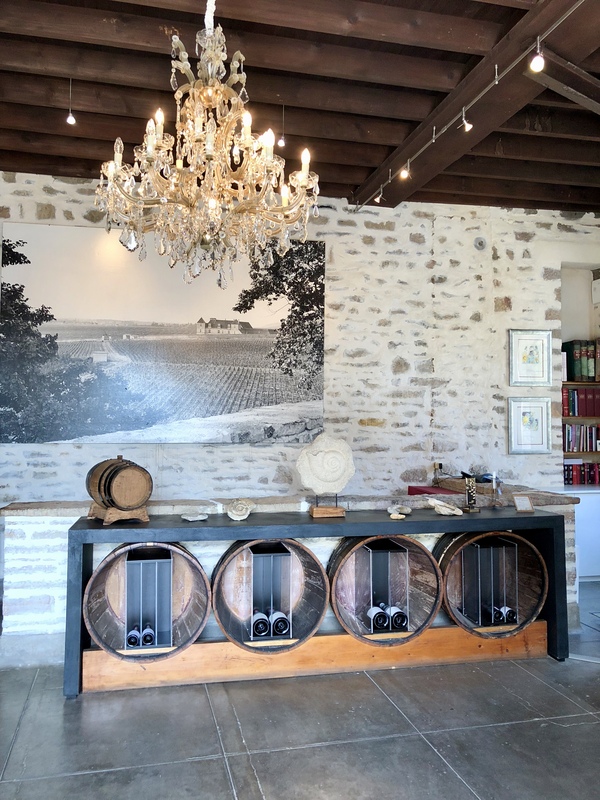 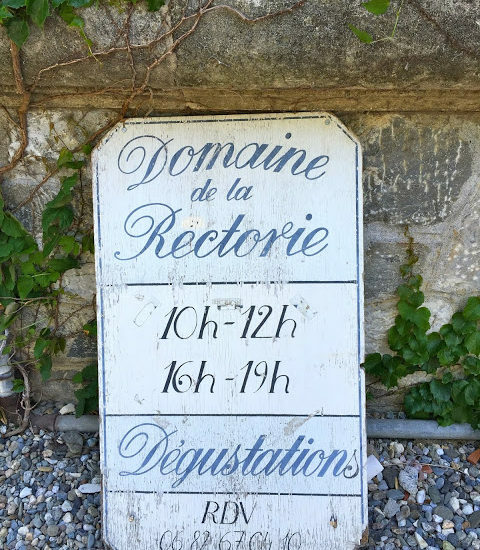 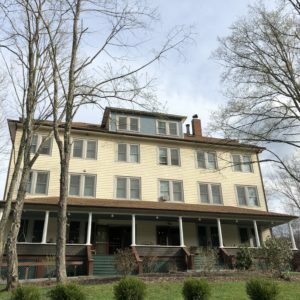 For those that want to take a taste of Les Deux Chevres with them, they make their own wine as well as offer a curated wine club with local producers. 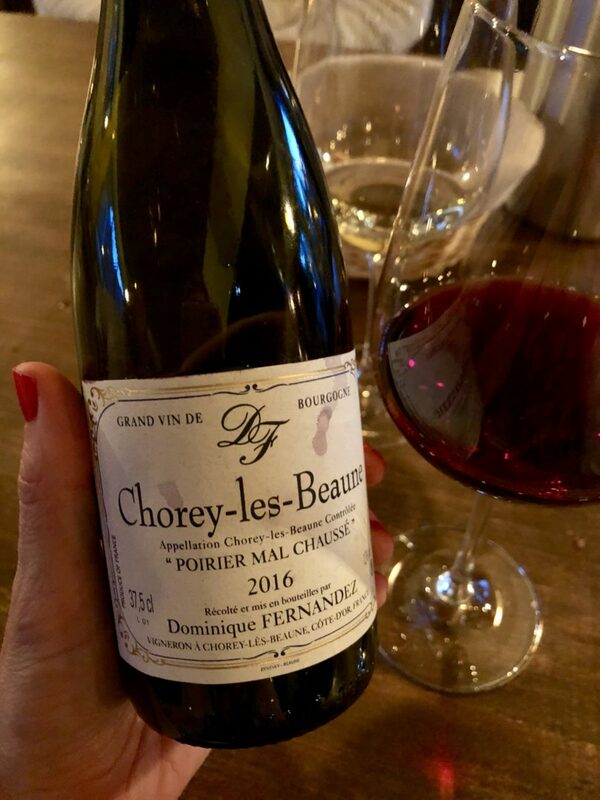 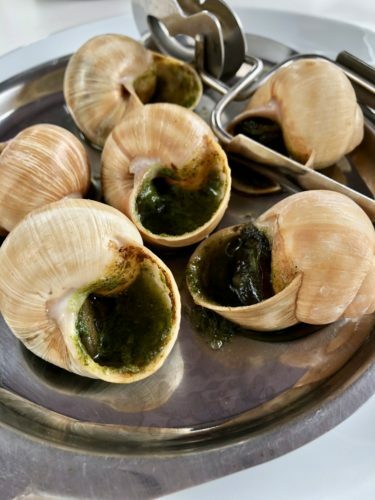 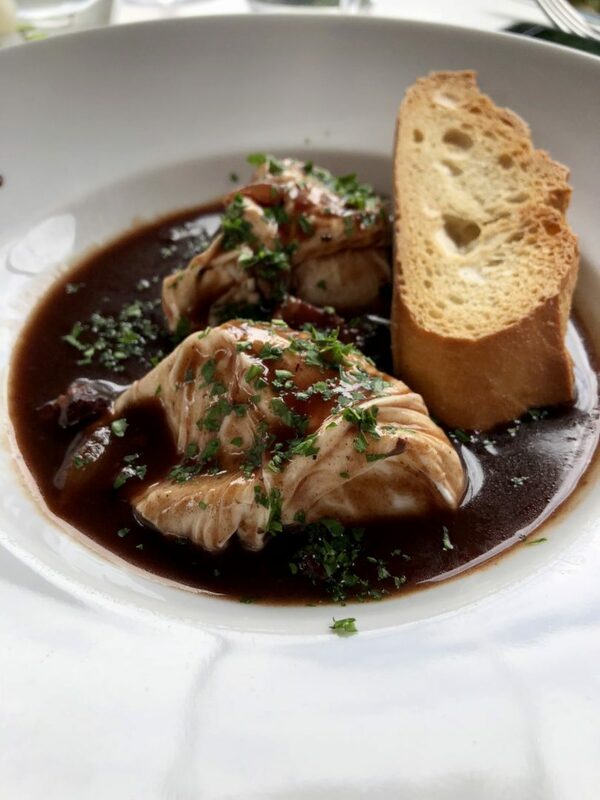 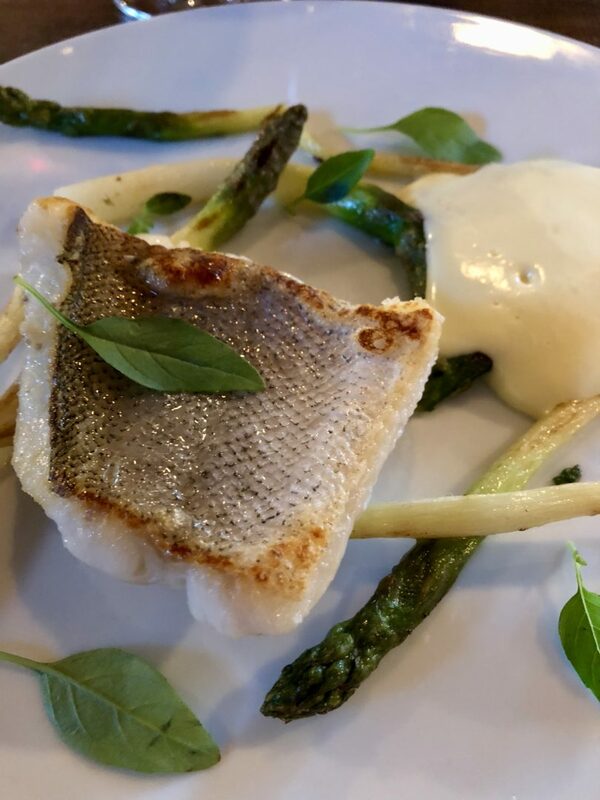 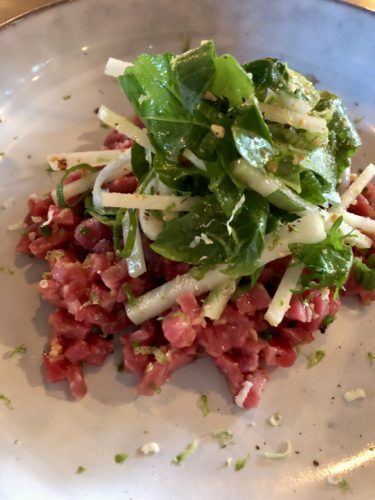 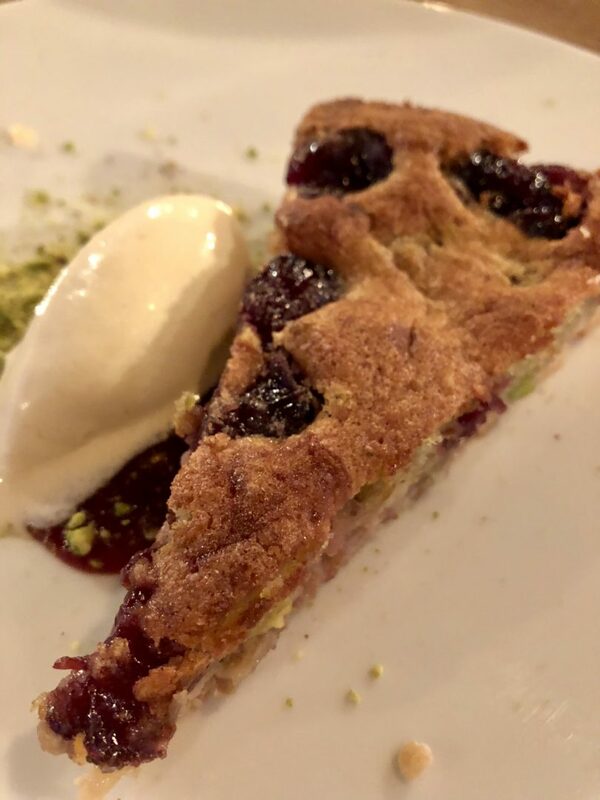 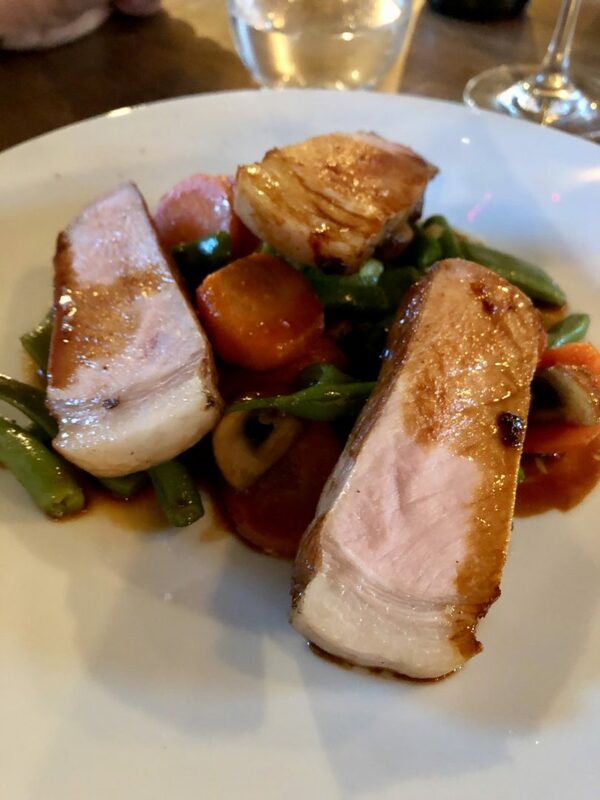 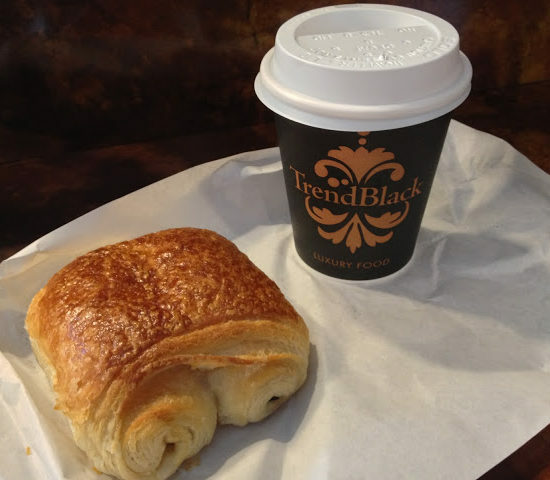 I was seriously distraught in trying to choose between really the only 2 restaurants in town for dinner; Chez Guy sounded like the homey-classic French bistrot while Bistrot Lucien was the cool kid in town located in the Rotisserie du Chambertin hotel. 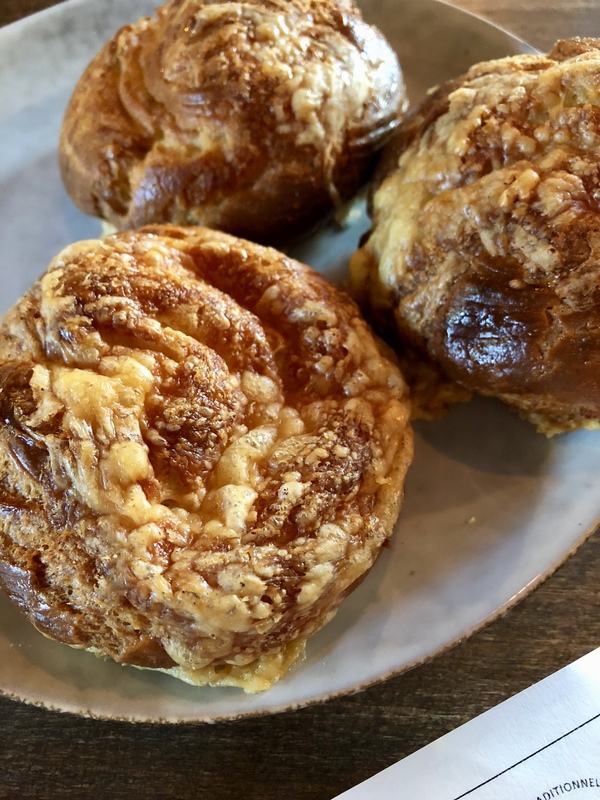 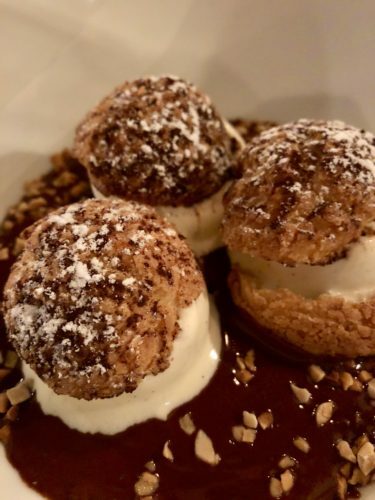 I typically go with old-school classic, but I ended up choosing Bistrot Lucien and I’m so glad we did, it was again one of the best meals of the trip, starting with the ginormous gougeres and ending with giant profiteroles! 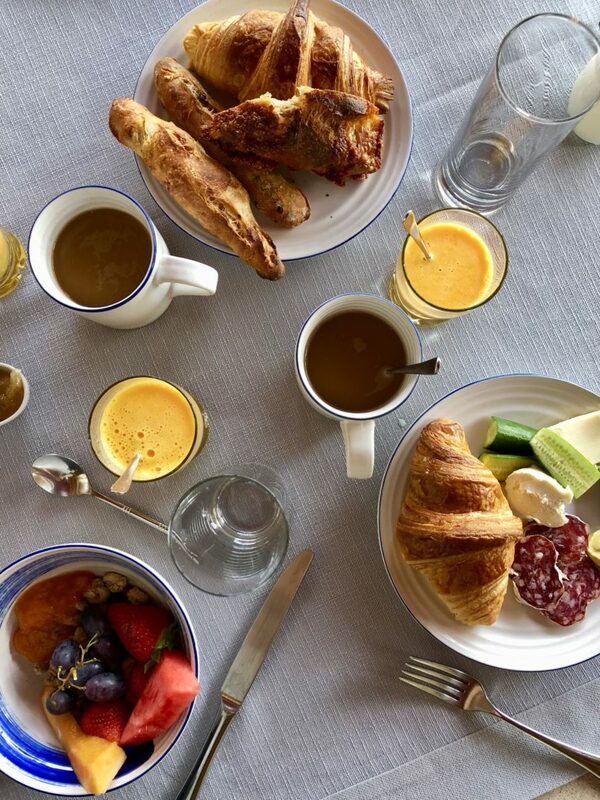 The next morning we woke up and took a walk around the village before an unbelievable breakfast spread enjoyed in the lovely backyard. 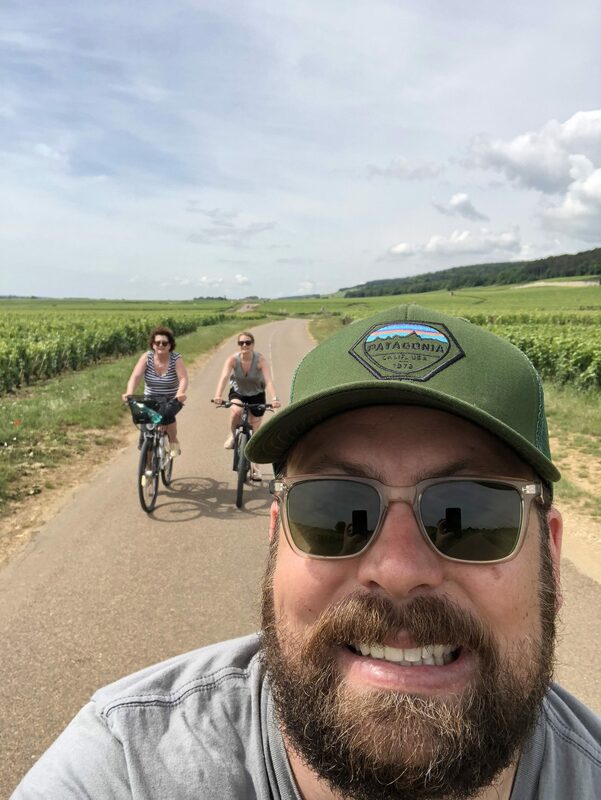 To work off all that cheese for breakfast, we borrowed the bikes available at the hotel and took a ride down the Route des Grands Crus. 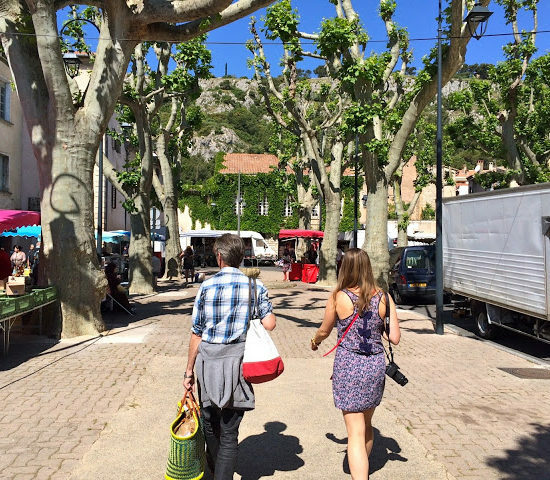 Then it was time to catch our train back to Pairs. 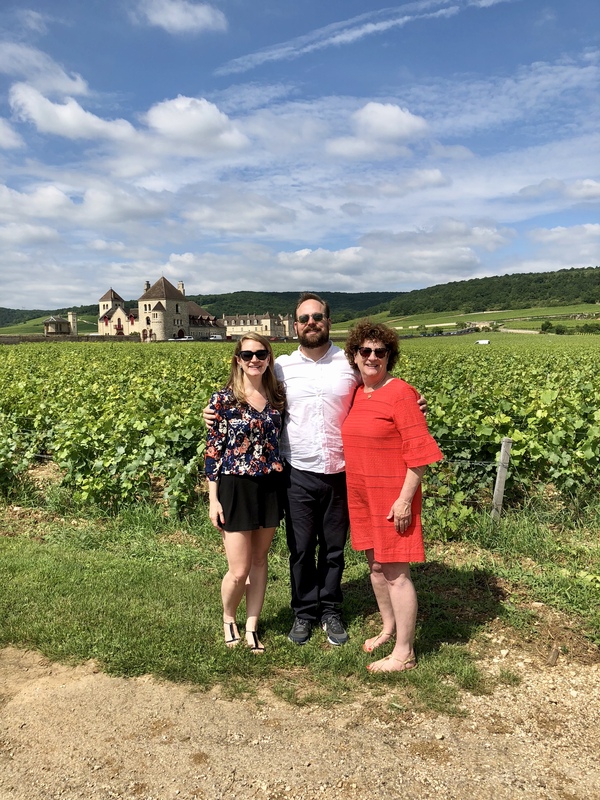 We dropped the car in Dijon and hopped on the train, ending our time in Burgundy. 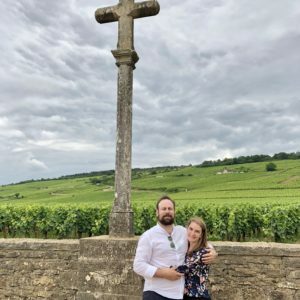 A trip I surely won’t forget!